An outdoor park or nature center may allow for building or strengthening bonds between an adult and child, which may also lead to a strengthening of the bond between a child and that environment now and in the future. This is described by Chawla, “one function of natural areas for people is… children and their caregivers deepen their human bonds by sharing pleasure together” (2007, p. 161). 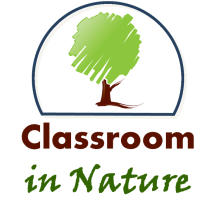 By having an outdoor classroom with a nature trail and nature area like a pond or field, children are able to build bonds with each other and with their teacher. Thus the outdoor classroom is a more adaptive and caring learning environment, leading to better knowledge gain in day to day activities. Research points to the potential for outdoor education to support an individual’s unique learning needs. And so, it is important that an educator tries to connect students’ interests, learning standards, and outdoor education within his/her lesson planning. To do this, awareness must be raised among adults who have the desire and ability to produce outdoor childhood education experiences. This awareness will hopefully lead individuals to observe and explore the significance of an outdoor physical environment with a child’s sensory and movement experience in early childhood. Finally, the experimenters caution that without a concerted effort by parents, educators, and administrators, “children are ‘being confined within,’ and the outdoors will continue to be marginalized in the experiences of their everyday lives” (Kernan and Devine, 2010, p. 382). The bond between an adult and child, along with a child and the environment, is strengthened when an outdoor classroom is used. These bonds help support learning problem solving skills (Kernan and Devine, 2010).